Rana Faraj and Jazmine C.D. Ellington study the transgenic fish. 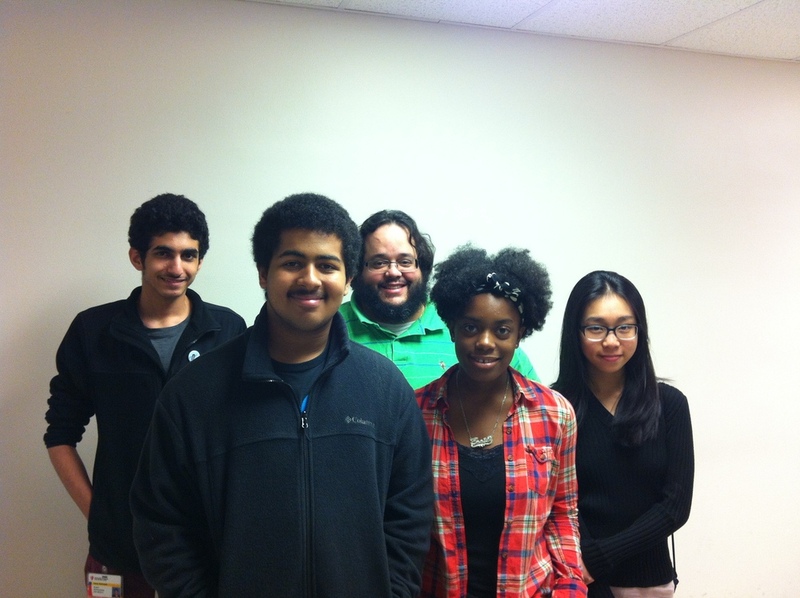 The Cleveland Neuroscientists' and Innovators' Program (CNIP) is a novel program designed by our group and John Hay High School, a public high school located in Cleveland, Ohio, to educate curious high school students about neuroscience. Each summer, the program brings together a hand full of students located in the greater Cleveland area to learn the fundamentals of neurobiology and to perform experiments in neuroscience. With the support of Ed Weber, the principal of the Cleveland School of Science and Medicine, and Manuel Mendoza, an experienced high school teacher at the Cleveland School of Science and Medicine, we integrate high school and college teaching styles to prepare a new generation of scientific leaders. A partial list of departments and institutions that participate in this program are: The Cleveland Museum of Natural History, The Center for Science and Mathematics Education at CWRU, The Departments of Neurosciences, Biology, and Otolaryngology-Head and Neck Surgery at CWRU, and the Medical Library at CWRU. Students (from left) Ryan Quick (Hart High School), Rana Faraj (CSSM at John Hay), Andrew E. Megerian (University School), Jazmine C.D. 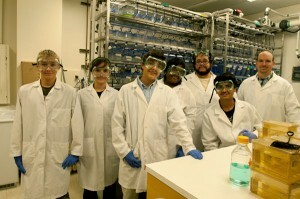 Ellington (CSSM at John Hay) and Rohit Kumar (Shaker Heights High School) work closely in the lab with (back row, from left) Manuel Mendoza (CSSM at John Hay) and Brian McDermott (CWRU). Photography in the lab by Susan Griffith.